November has been a tough month for blogging. Every waking moment was filled with family activity while my work weeks were booked up with travel to exotic locations like El Paso, TX! Then, of course, it was Thankgiving in the States. Where we consume and purge enormous meals for a day leading up to, the day of, and a few days after the actual holiday. I’ve heard rumblings about this compilation album from Doc Scott’s ThirtyOne Recordings for a LONNNNG time, and eagerly awaiting a full tracklist. Well it’s finally here and by god it’s even better than I imagined it would be! 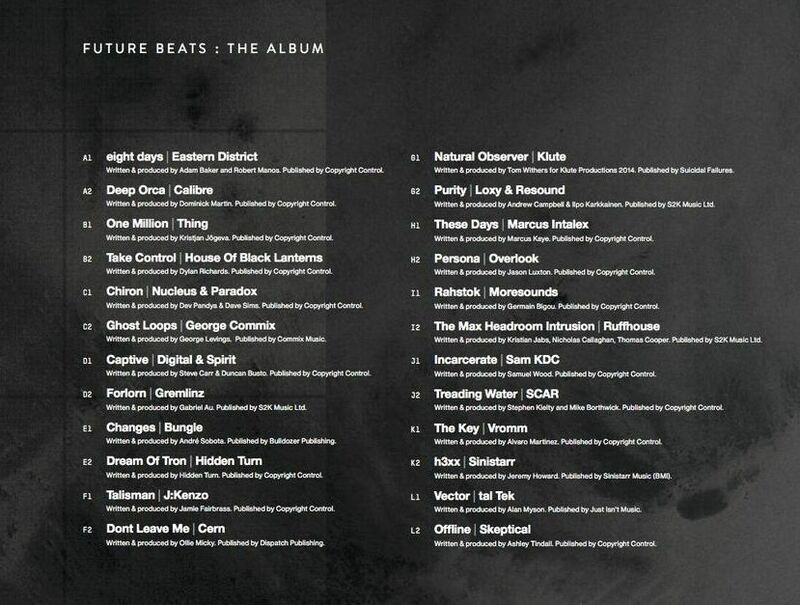 An image of the tracklist is below and I linked the Calibre and Thing jams to satiate your ears. ThirtyOne is even releasing a limited edition box set of all the tunes on the album, but there are ONLY 200 and it’ll never be repressed. If you want it, get in quickly at the link above. WARM032 marks the first appearance of the stalwart Spirit on the label with Reality/Babylon Call and brother…both cuts are mean! Reality gets you all warmed up with rising, infectious synths dropping you into a signature Spirit one-two punch of bass stabs and punchy drums. Babylon Call‘s name suggests it’d be the dubbier of the two, but it’s even meaner with an old skool vibe of reese bass and amens guiding an air raid-like synth. Dutty! YESSSS! Seba and Paradox have been making beautiful music together for a long time and the latest from Seba’s Secret Operations label is no different. Paradox’s ability to make intricate drum patterns works so well with Seba’s signature sound. Delusions is a spooky roller interspersed with an audio sample of a man repeating “delusions” to the listener. Rising throughout is a stabby synth that ratchets up the foreboding atmosphere. If Delusions is the build-up to madness, Future Now is what happens after you’ve completely lost the plot. Again, a haunting sample tells you that “these people are your future now,” makes you feel like doom has already arrived. Into the mouth of madness. This is the fourth installment of the Blind Music EPs and, in my opinion, the best of the bunch. I have no idea who made it and that’s the general idea behind the label’s ethos. They let the music speak for itself. Hybrid Mind’s Mountains LP was my 2013 album of the year runner-up and the remix EP will be in contention for my 2014 AOTY. I mean, just look at that tracklist of remixers! If you don’t listen to anything else on the album, check out InsideInfo and Nympfo’s remxies….siiiiiick! Croatian talent, Noon, has put out four quality rollers on his debut EP on BPM Records. Mr. Noon has been plying his musical trade for more than a decade in the European bass music scene with drum & bass, jungle and hip hop releases to his credit. Done is captures the essence of a jump-up tune that rolls out smoothly. The eponymous Noonshine has that Eastern European flavor leading into a jackin little rinser. Rolling Joints is a quirky bass/dubstep piece while Badness is a quality ragga bass music jam. Ragga bass music! Fox, Jah Screetchy, Sangy, Yemi and Kwasi go in with Red Eye Hi-Fi for the Raise The Alarm EP for NB Audio. All four tunes are big bouncers with that UK grime MC take from the above mentioned vocalists. Solid work! Hex comes with two storming neurofunk jams on Transmission Audio. Tin Man rolls in with the metallic drums and squelchy, modulated bassline. Skitta is a hit waiting to happen. If you put this in a mix and let the floor roll with it you’d have a riot on your hands. That building bassline after the break is killing me. E-Motion presents a tidy little double pack from Virtue, with an assist from Hannah Eve and Soulculture. You & I is picturesque liquid funk jam with Ms. Eve handling the heavy vocal duties. It’s a beautiful tune. Whatcha Gonna Do is the epitome of a classic jazzstep tune with classy horns and a rollicking stand-up double bassline.